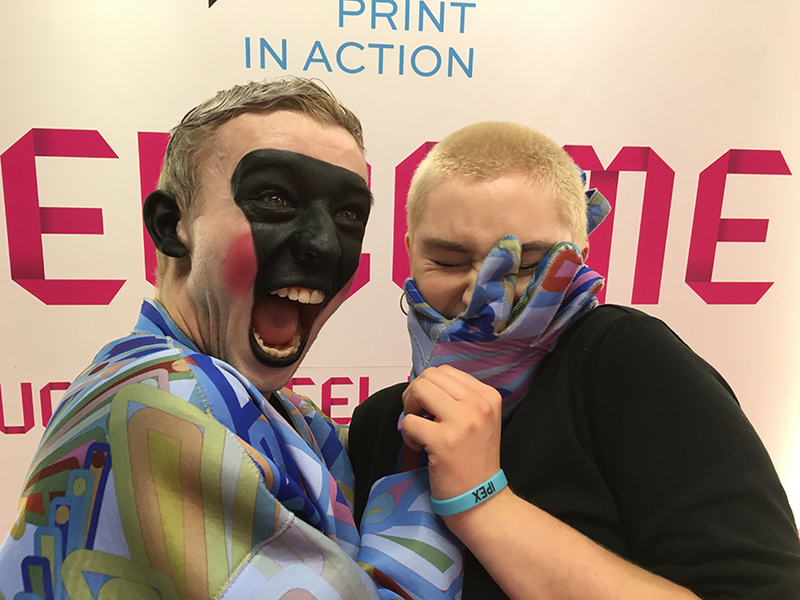 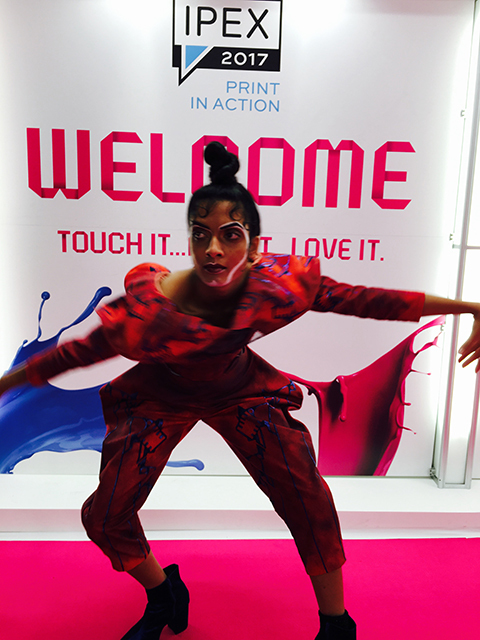 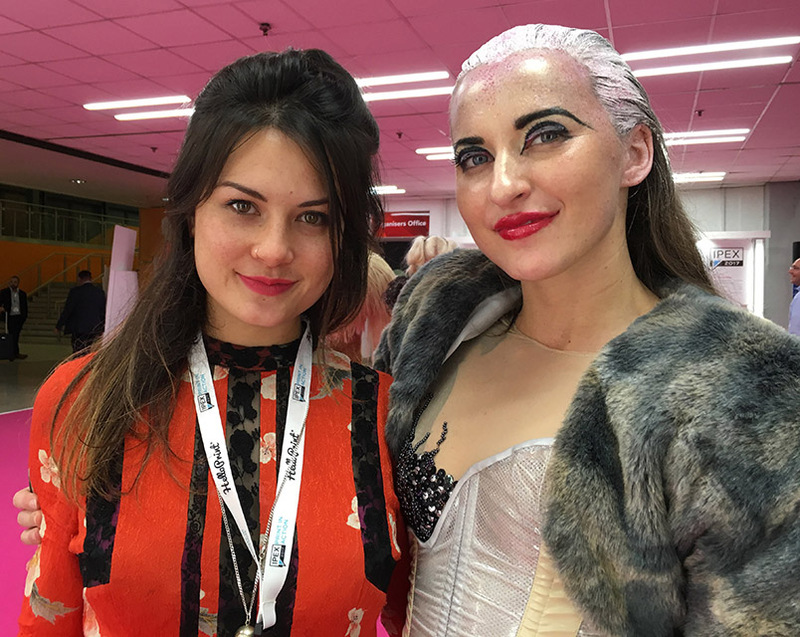 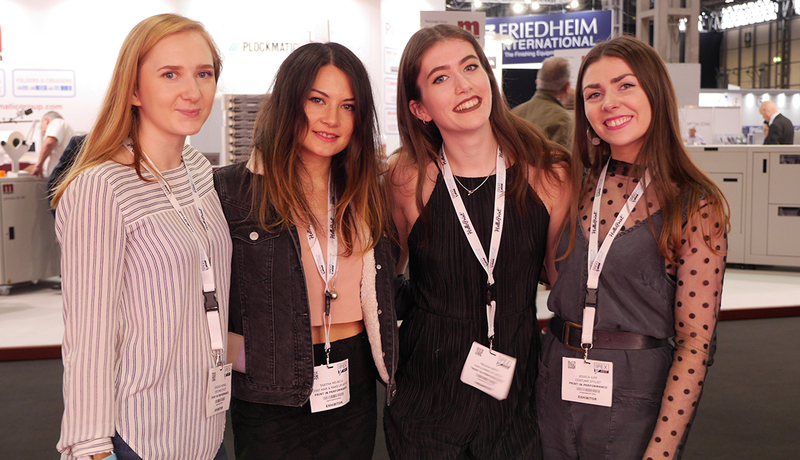 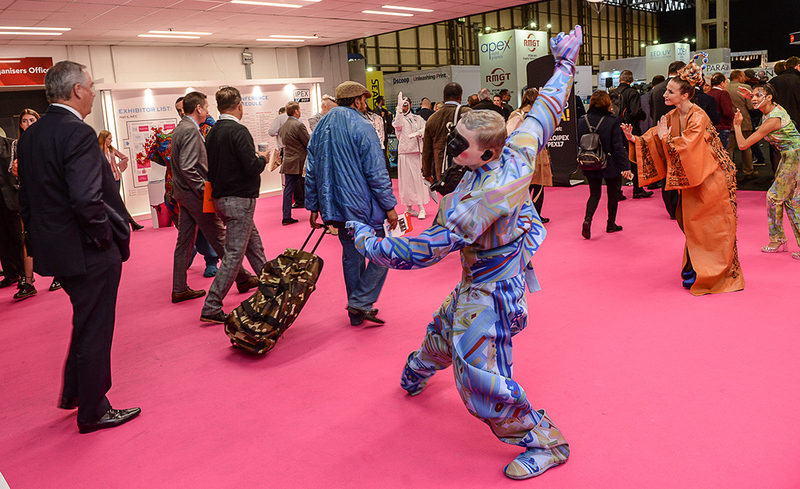 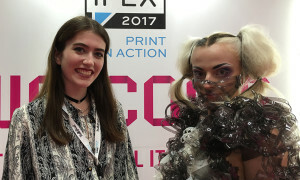 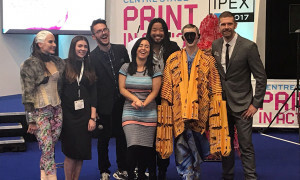 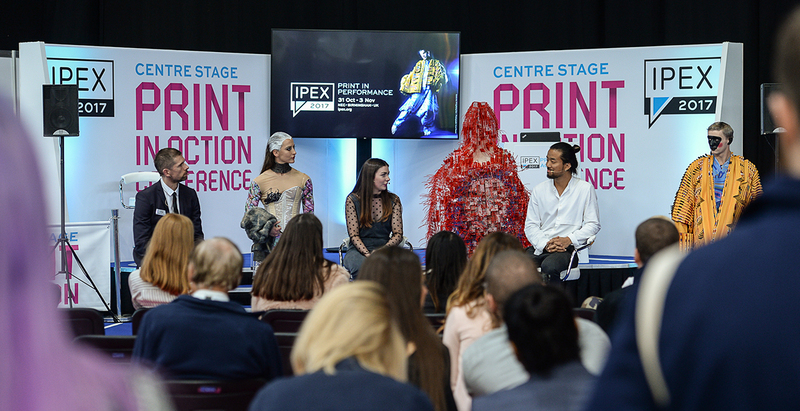 In a unique collaboration with the University of the Arts London IPEX 2017 invited a new generation of designers to embrace and showcase the creative use of digital printing technologies, bringing to life IPEX 2017’s motto Print in Action! 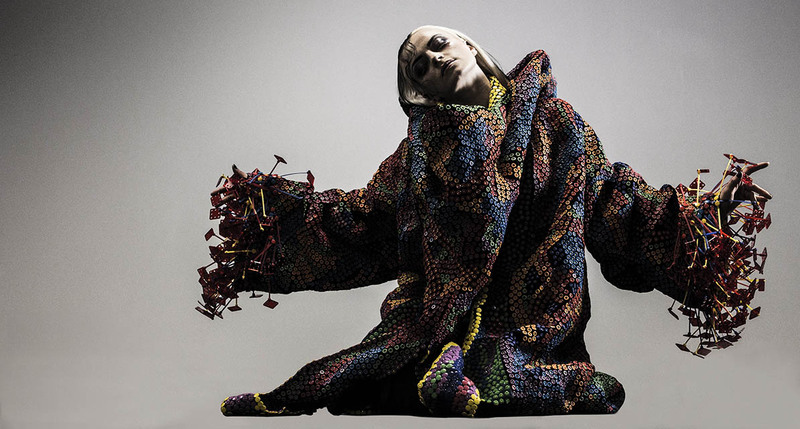 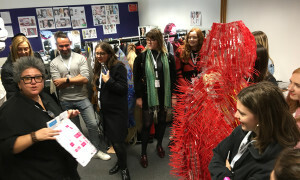 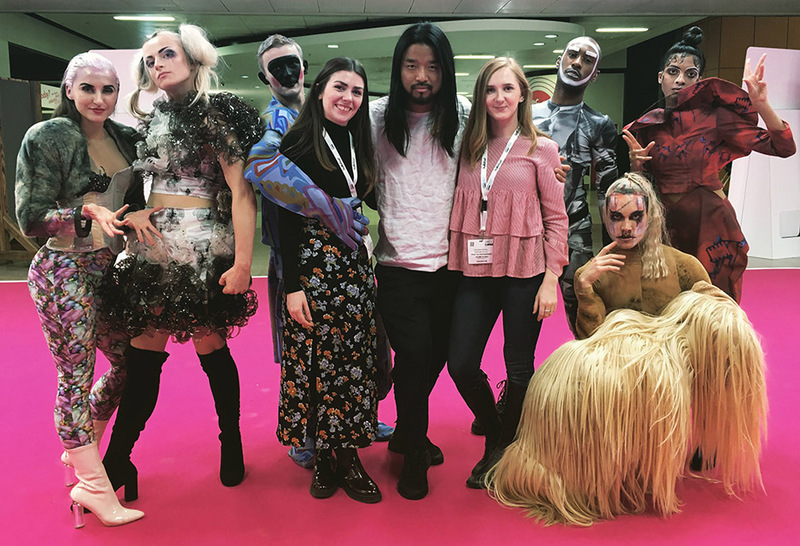 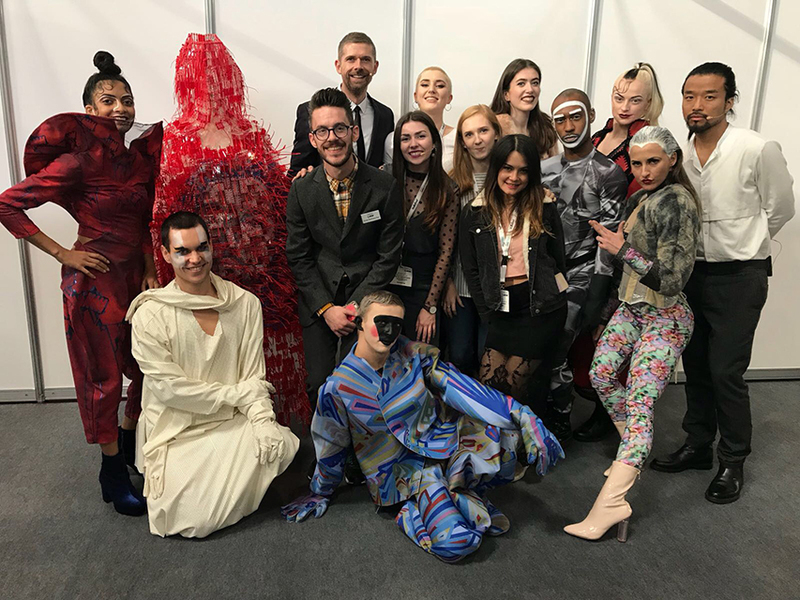 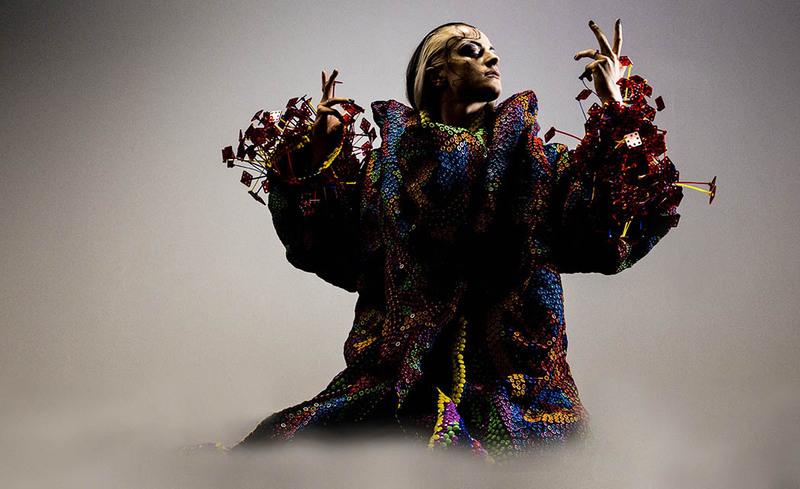 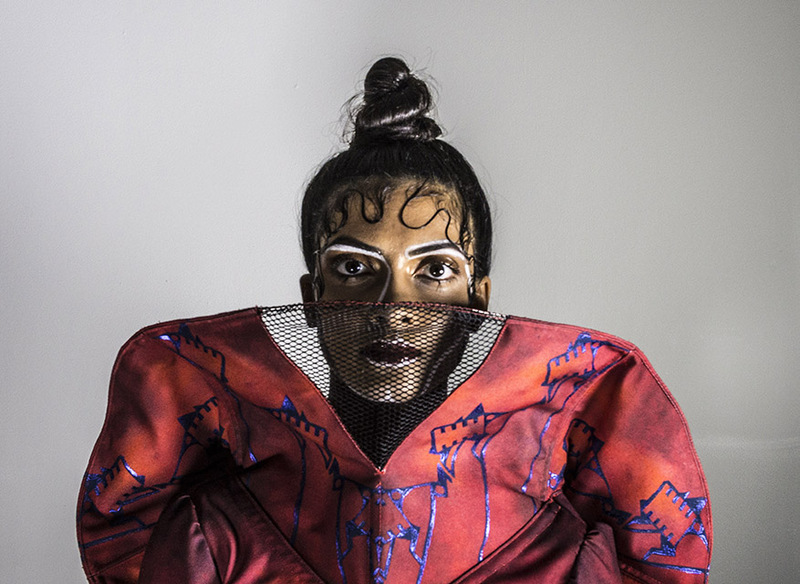 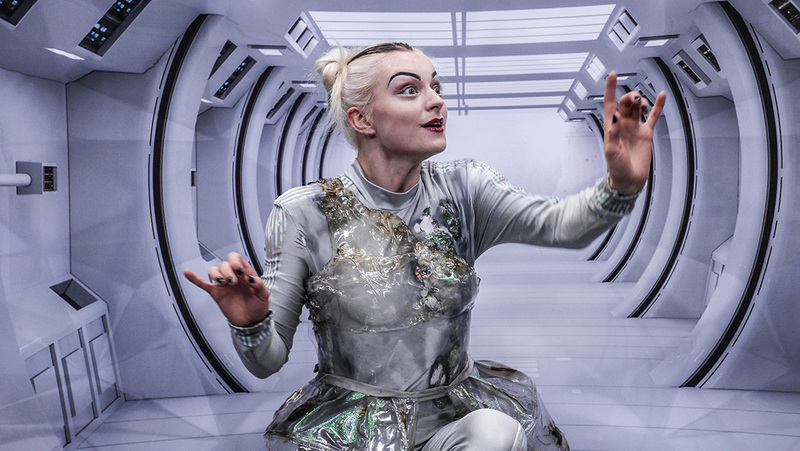 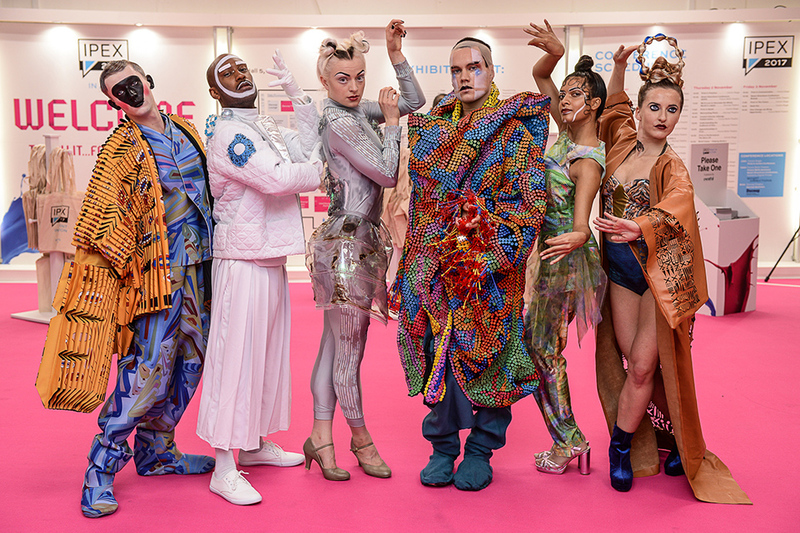 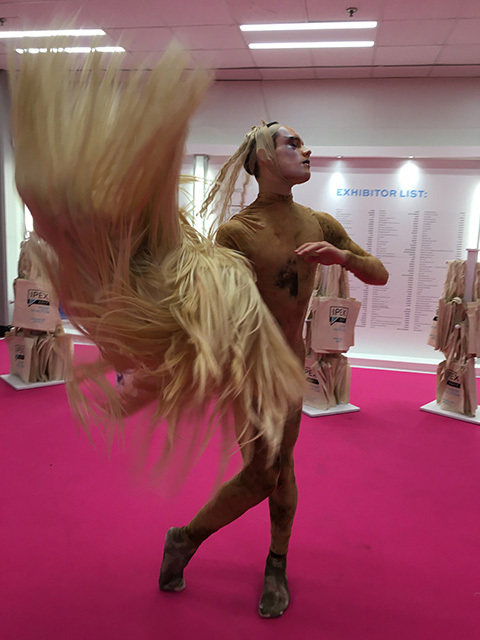 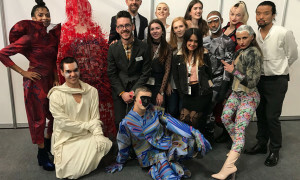 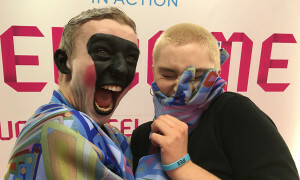 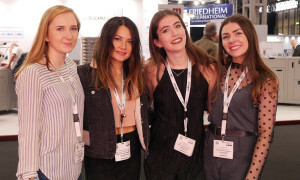 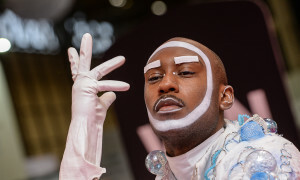 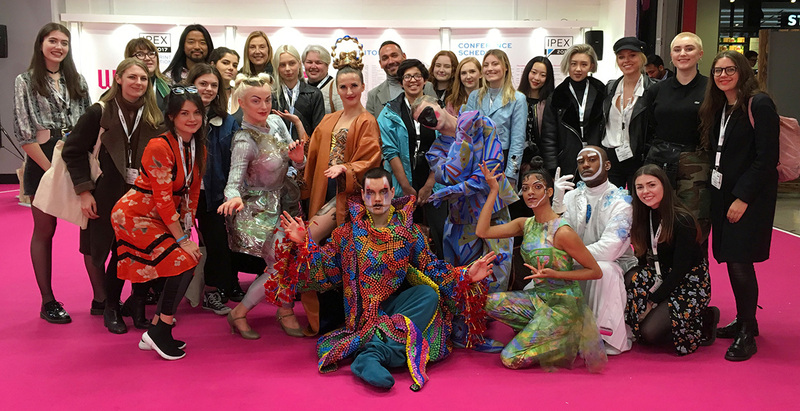 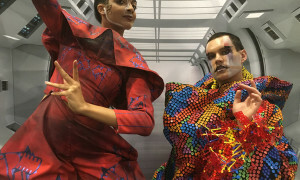 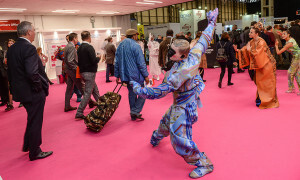 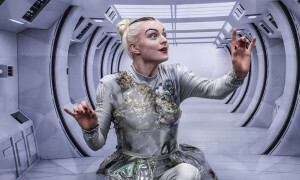 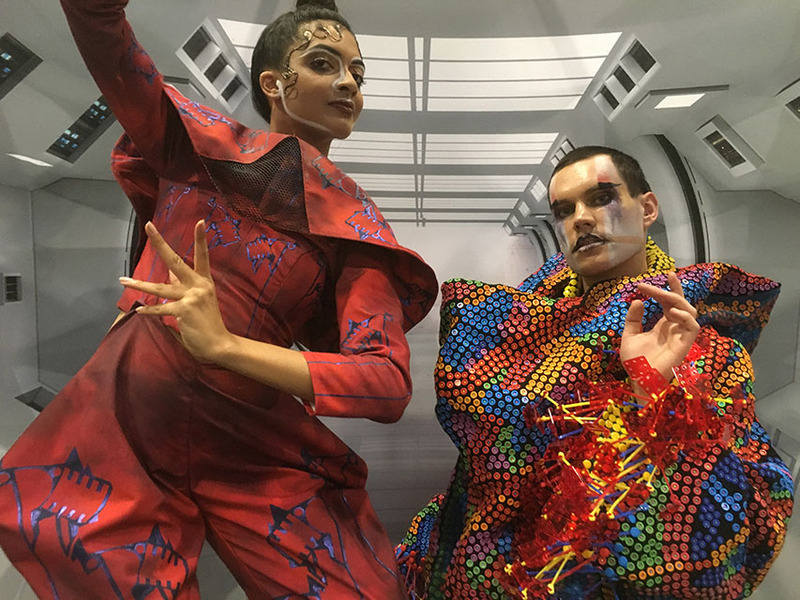 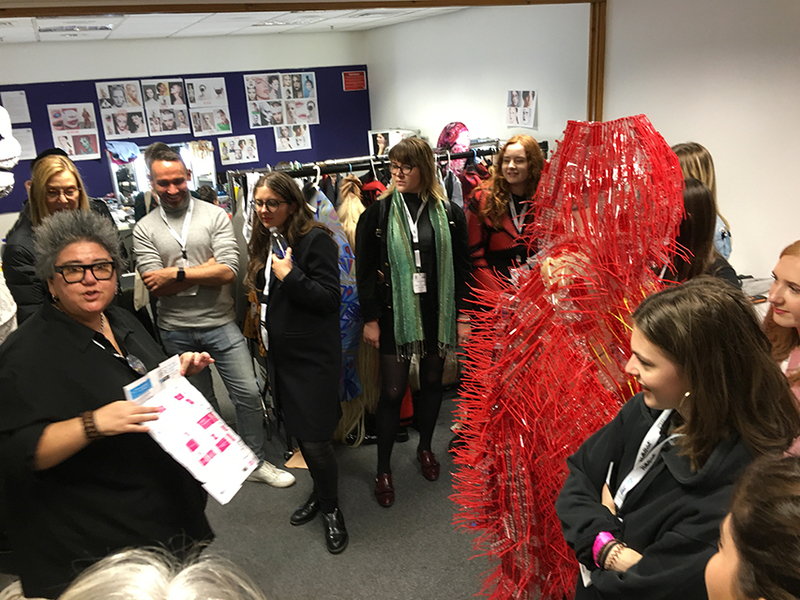 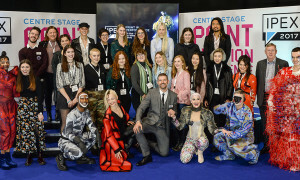 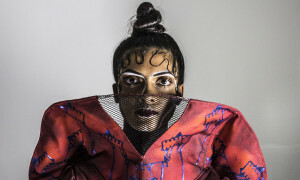 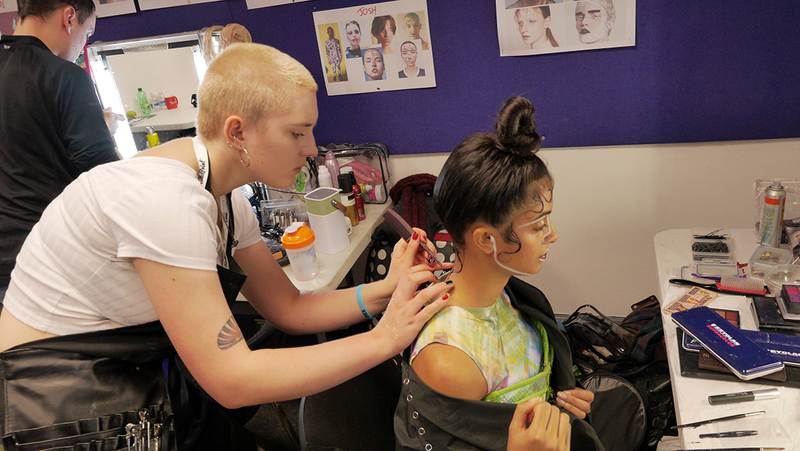 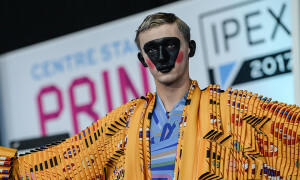 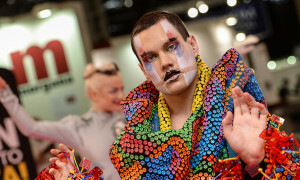 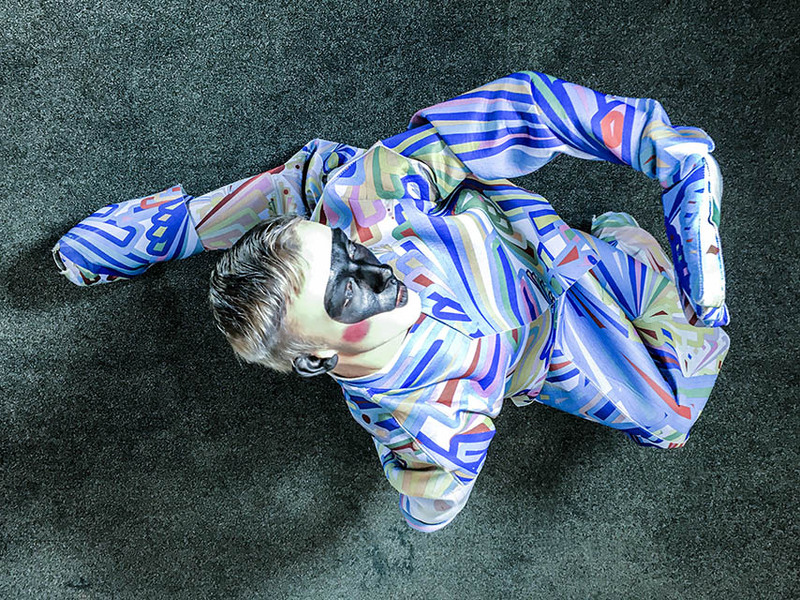 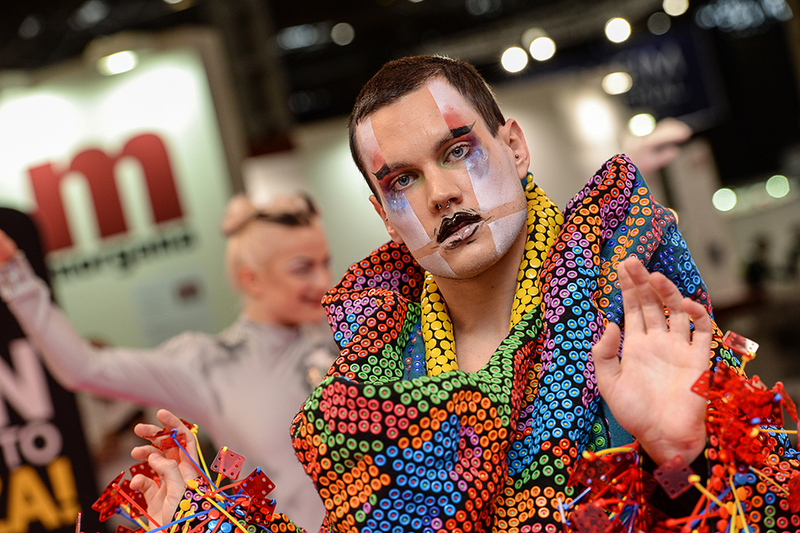 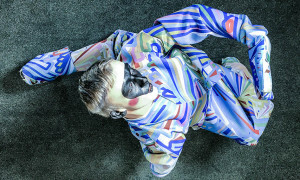 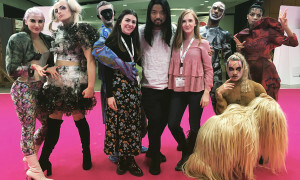 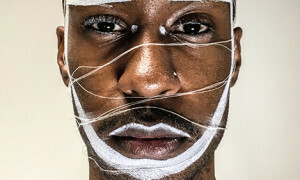 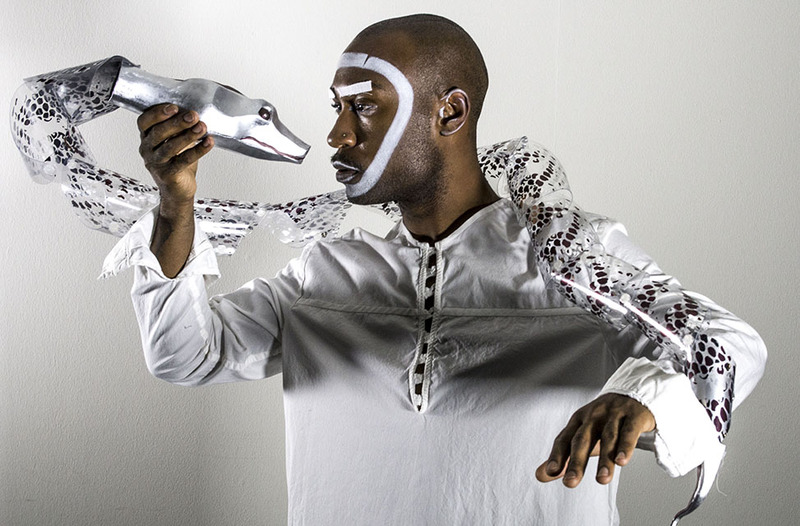 All costumes, costume/prop effects and hair & make-up have been created and supplied by graduates and second year students from the three Performance Programmes at the University of the Arts London (UAL) London College of Fashion (LCF). 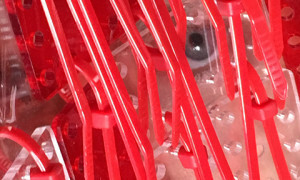 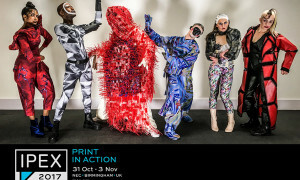 The work on display utilised digital printing and/or laser cutting technologies. 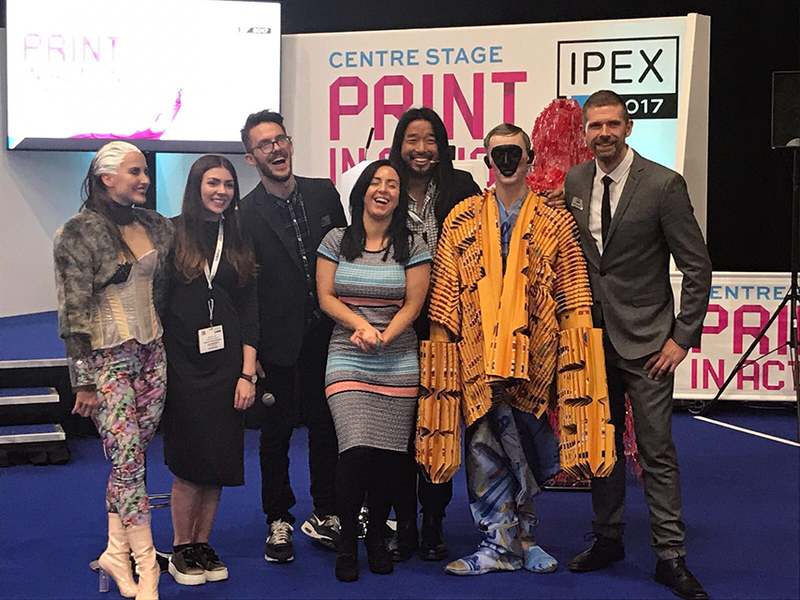 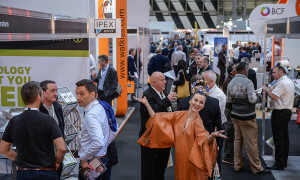 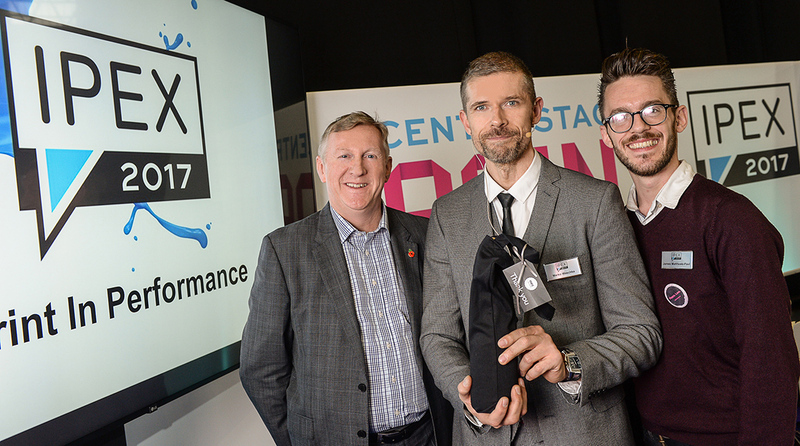 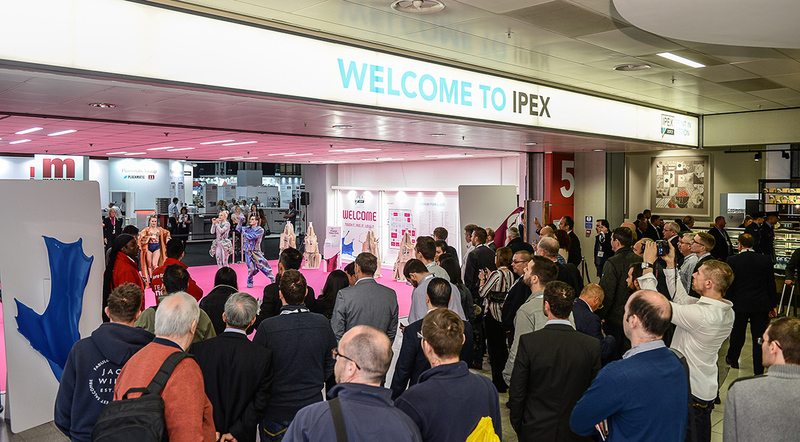 International Print Exhibition IPEX 2017 – Informa: Director: Rob Fisher. 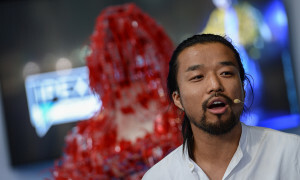 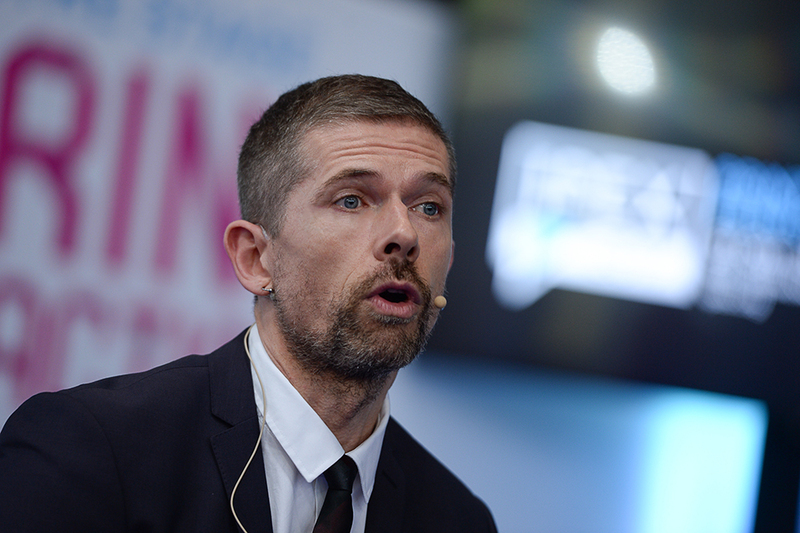 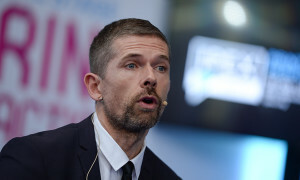 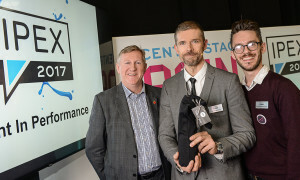 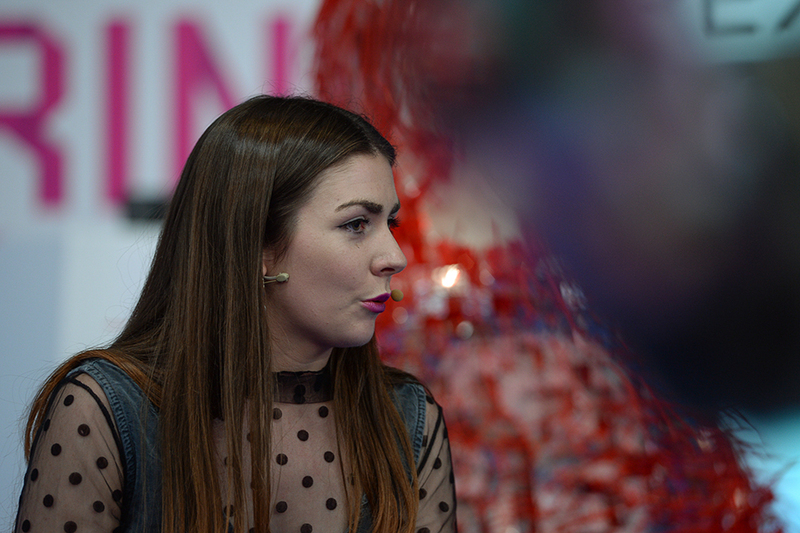 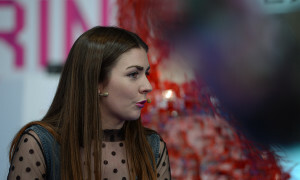 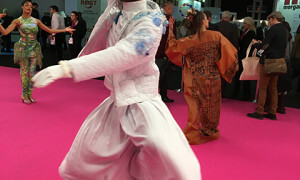 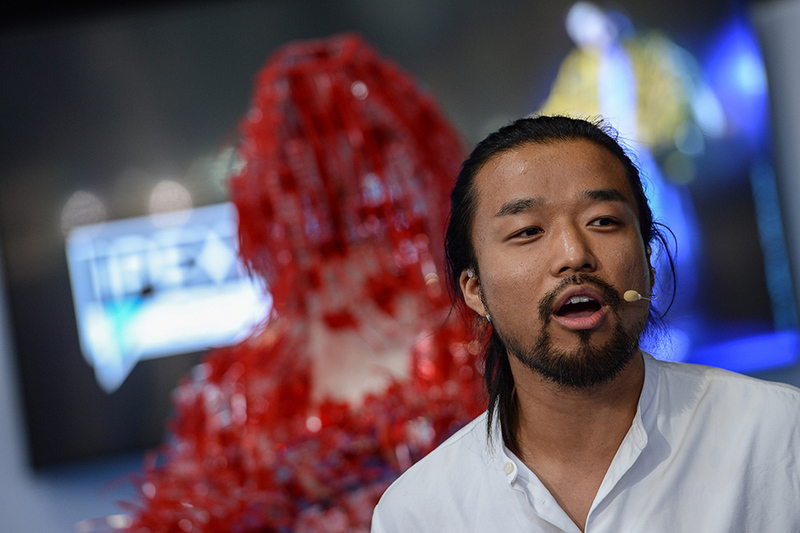 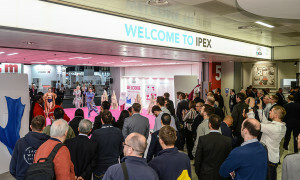 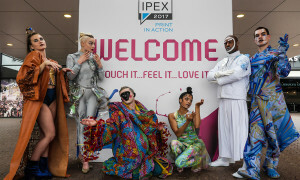 IPEX Content Programme: Rogue Agency, Director: James Matthews-Paul. 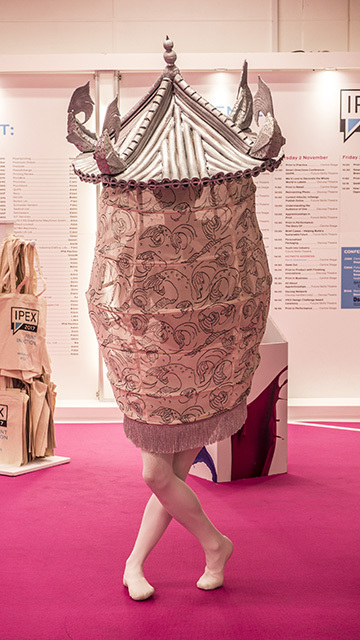 Print In Performance Artistic Direction & Production: Twitching Curtains. 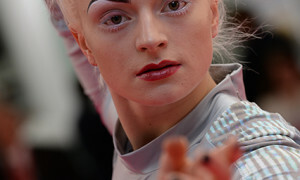 Director: Marko Waschke. 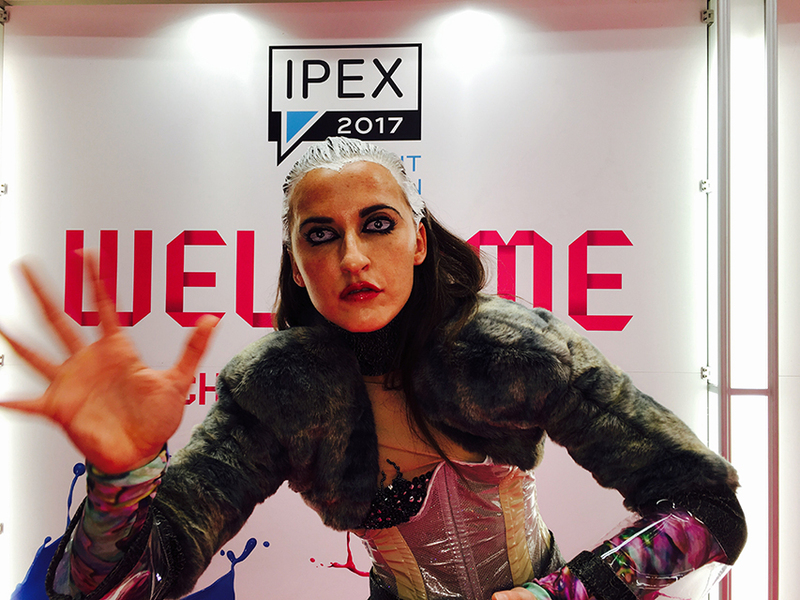 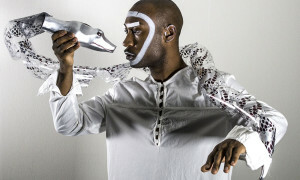 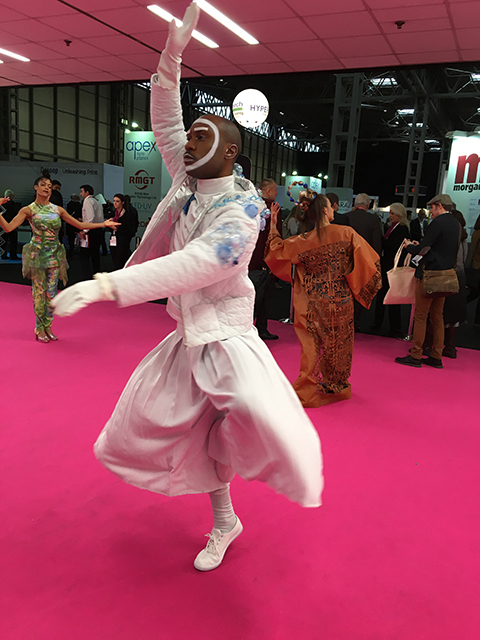 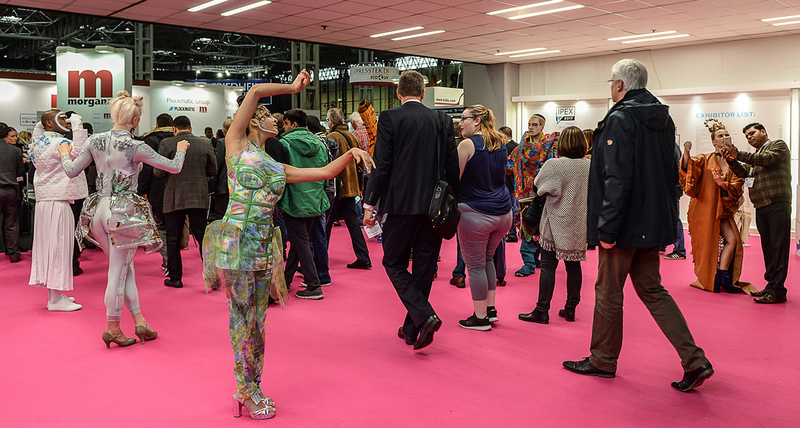 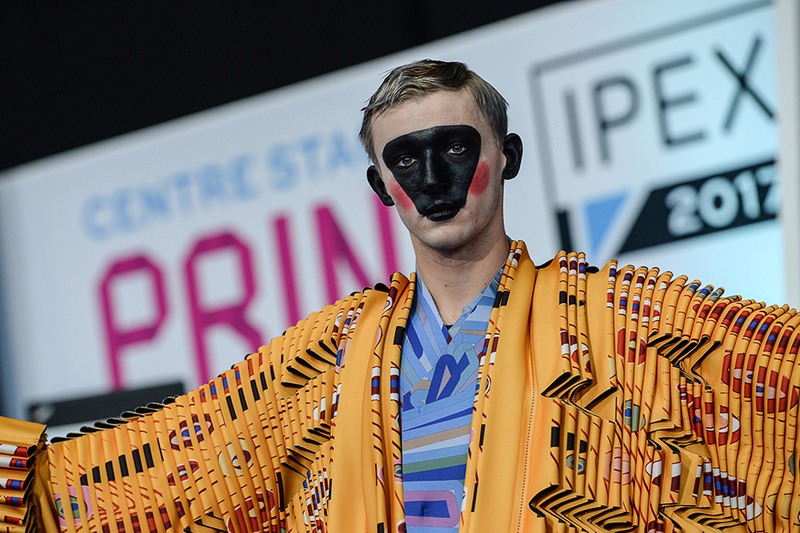 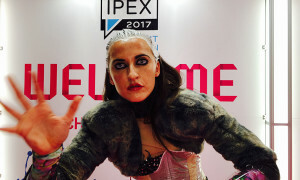 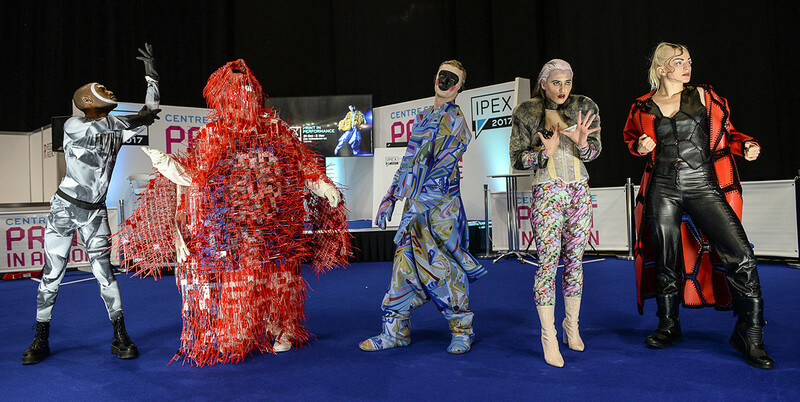 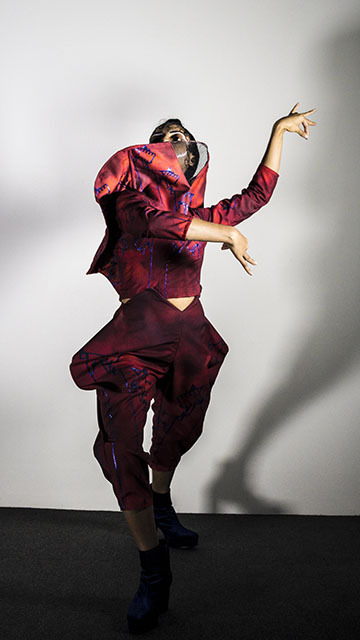 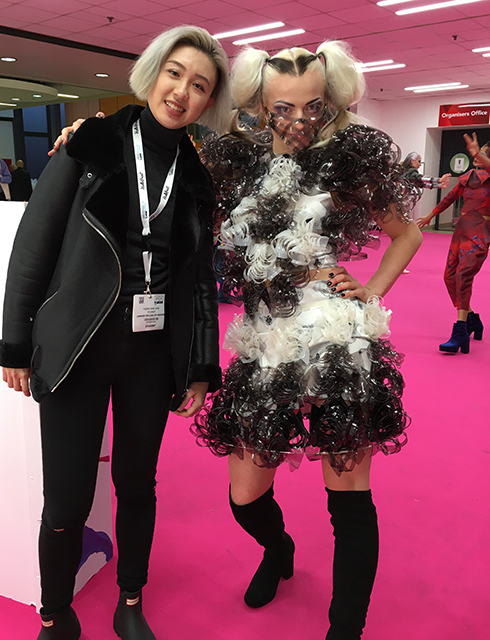 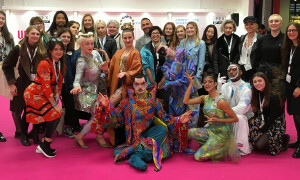 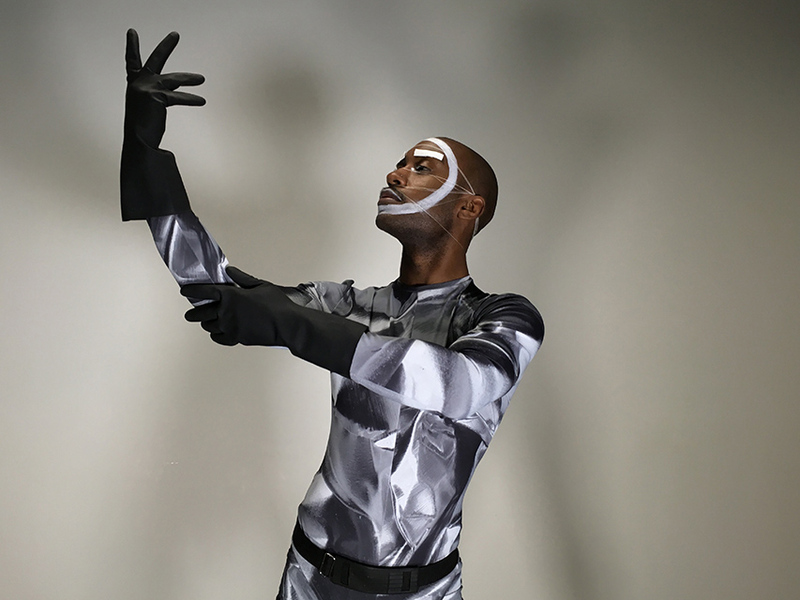 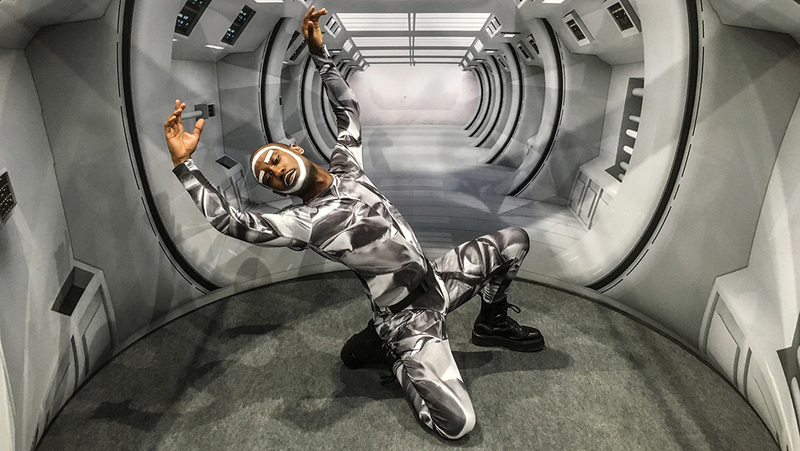 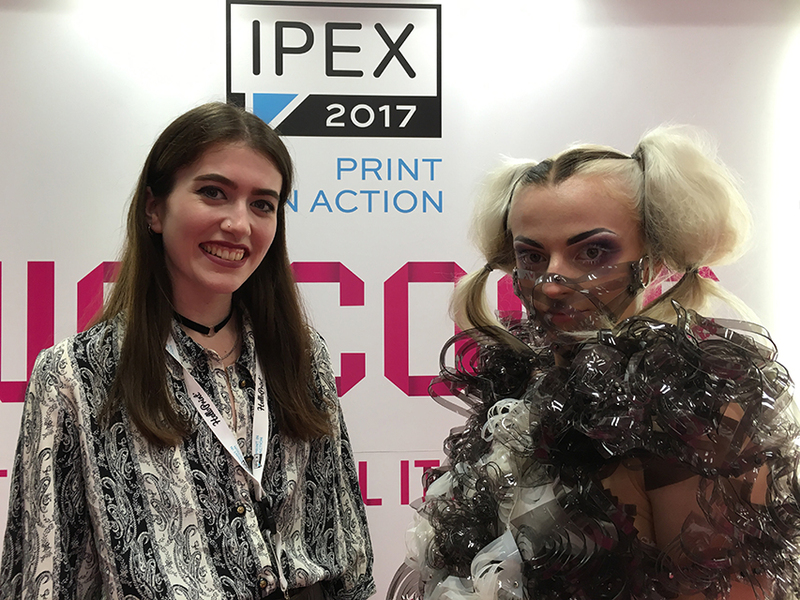 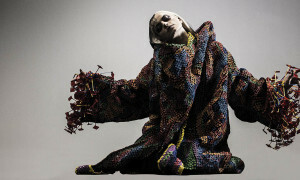 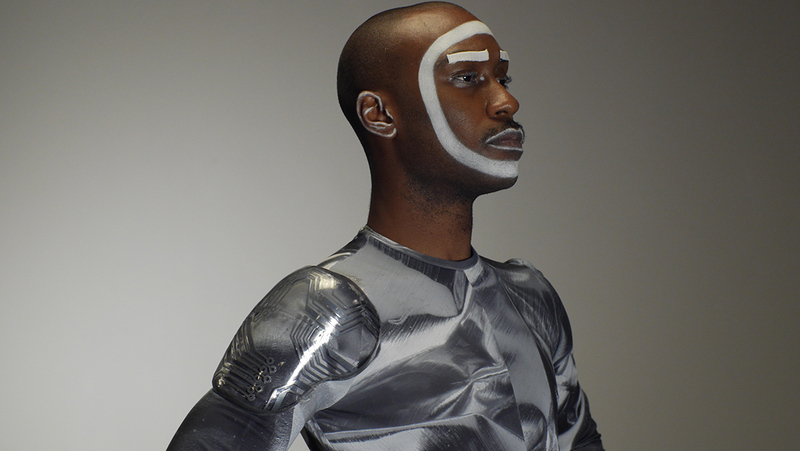 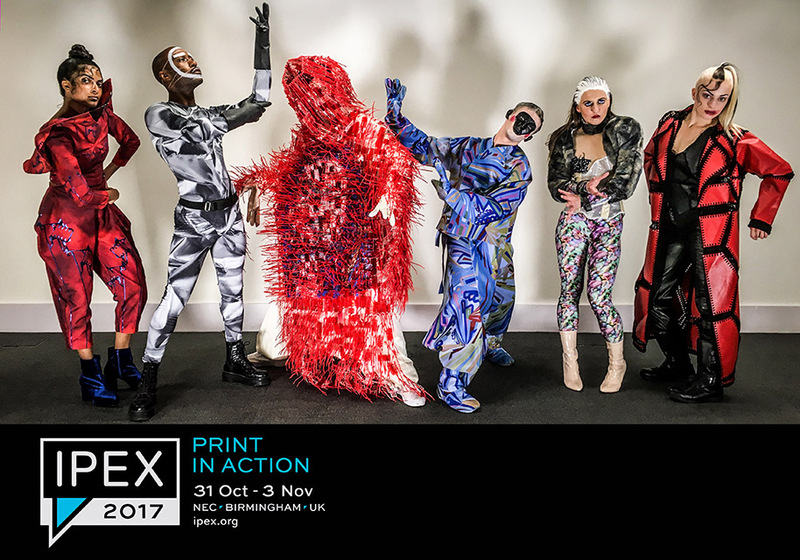 IPEX17 Print In Performance Crew: Costume Supervisor: Mingzhang Sun, Costume Stylist: Jessica Iliff, Ashleigh McNeill. 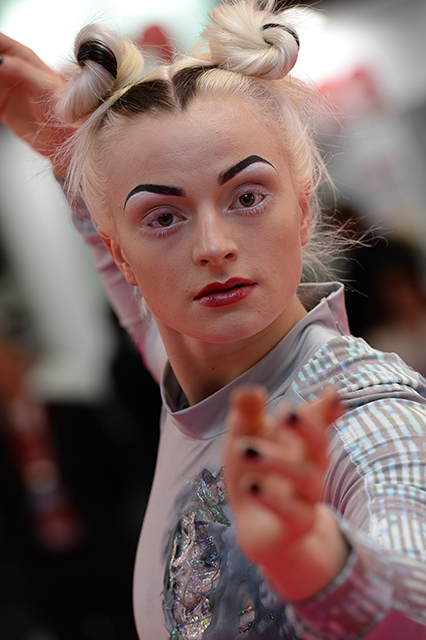 Hair & Make-Up Designer: Tabitha Mei-Bo Li, Hair & Make-Up Artists: Daisy Moore, Melissa Brett. 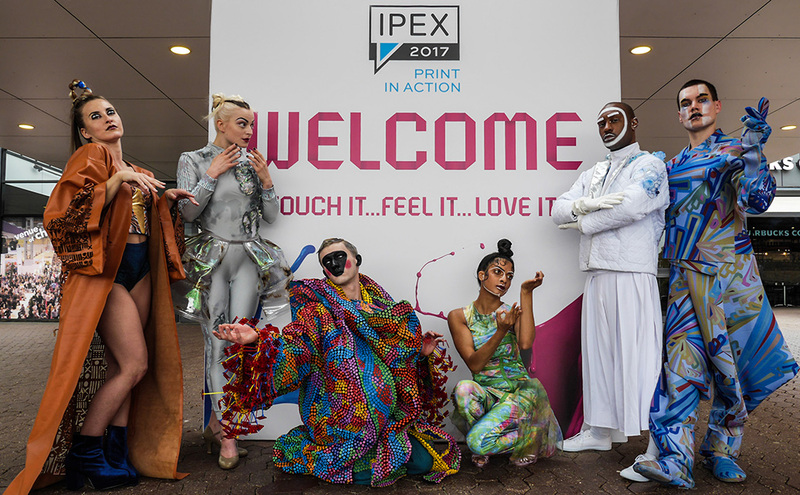 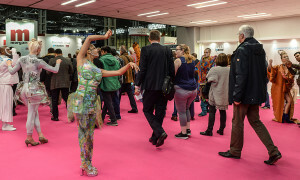 IPEX17 Print in Performance Dancers: Laura VanHulle, Kyle White, Josh Walker, Vidya Patel, Shelley Hadon, Sam Costello. 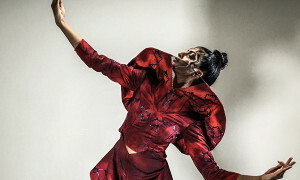 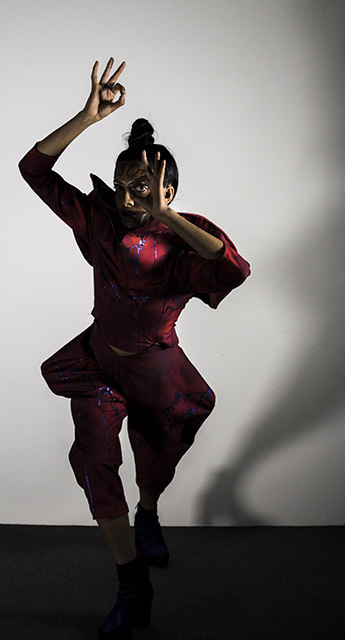 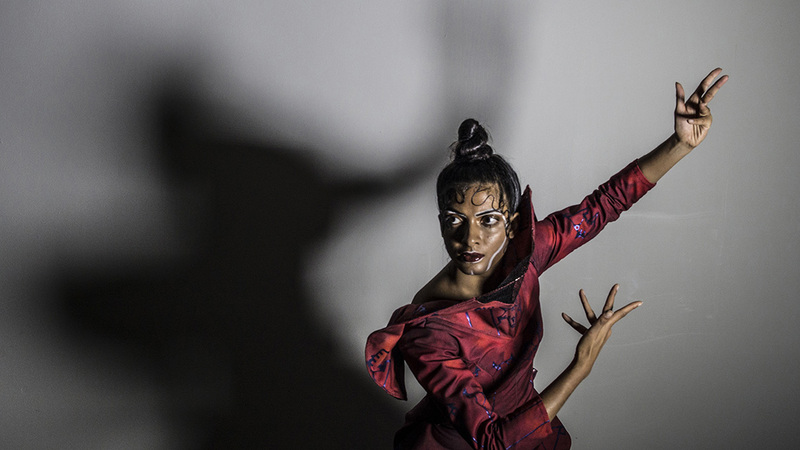 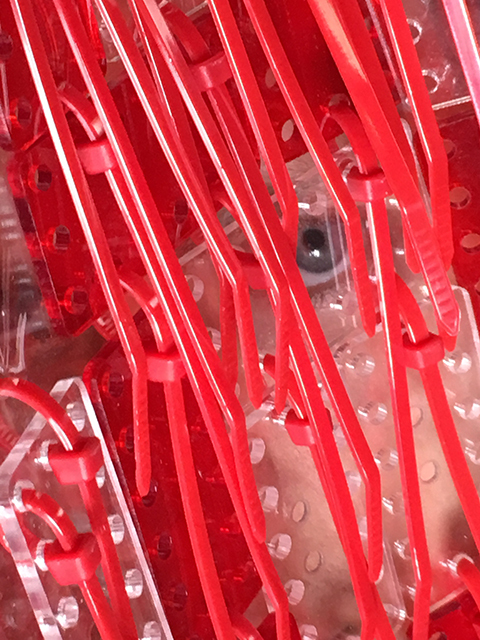 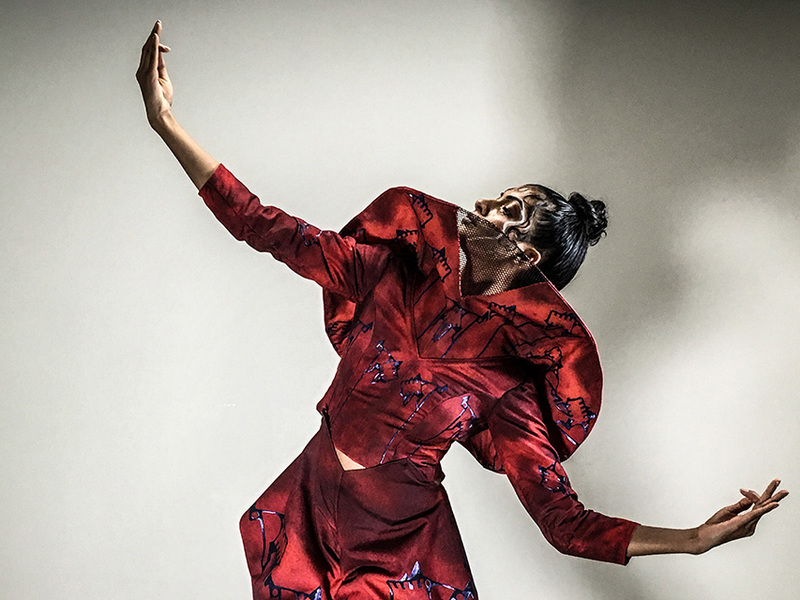 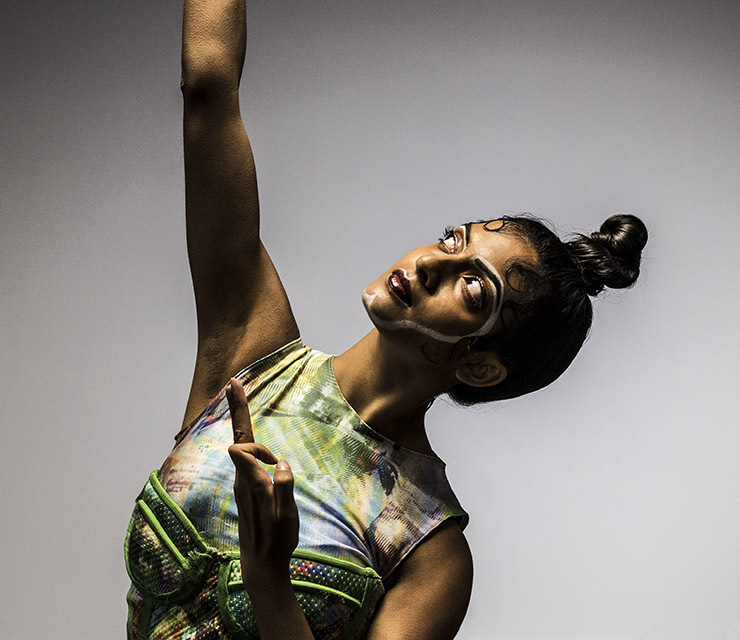 BA (Hons) Costume for Performance Programme: Mingzhang Sun, Bruna Bellettati, Jessica Iliff, Waseema Canfield, Yuqing Rane, India Chetta-Roberts, Shu-Ching Chan (Phoebe), Kelsey Vickery, Alina Khachatrian, Chloe Walsingham, Xin Jin (Selena). 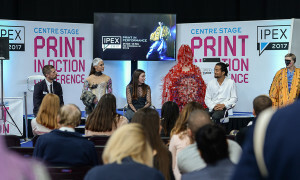 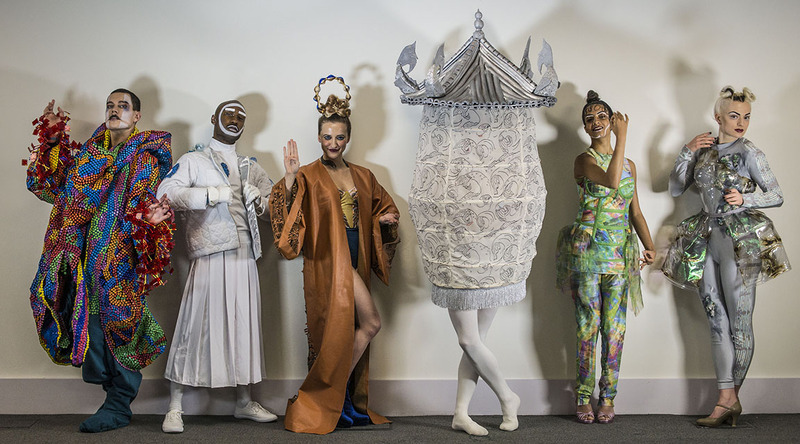 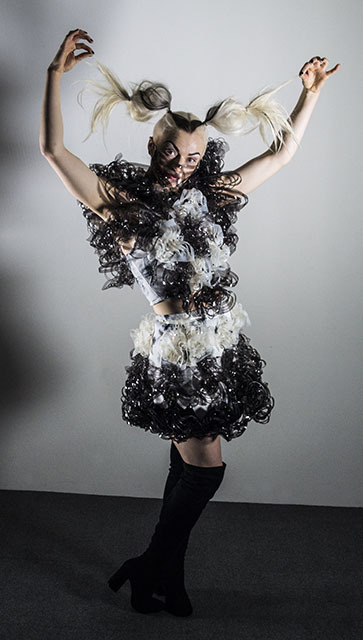 BA (Hons) 3D Effects for Performance & Fashion: Leanna Kirkup (Human Lantern), Jenny Ryder O’Regan (Laser Cut Snake), Maia Weinstein (Sci-Fi Shoulder cup), Catharine Wright (PVC Shield Bodice). 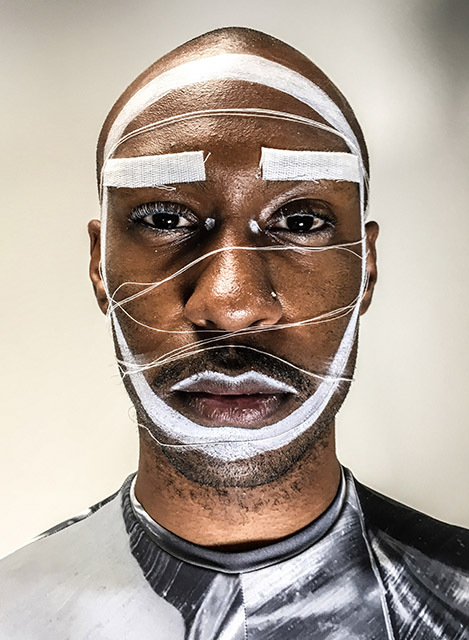 BA (Hons) Hair, Make-up & Prosthetics for Performance: Brodie Mayhew (Snake Tattoos). 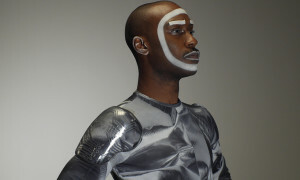 © The IP rights to the work as depicted in the images on this site lies with the individual designers. 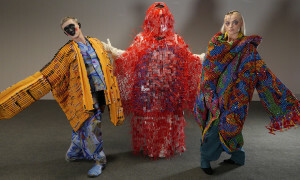 Copyrights to images © Twitching Curtains Ltd. Marko Waschke and © Steve Burden.